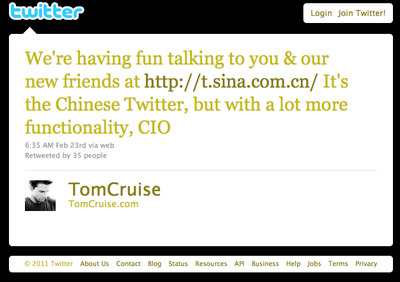 He (or his staff) just likes Weibo better. 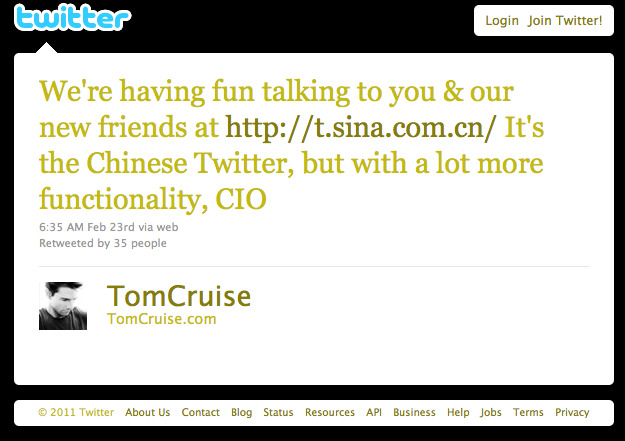 It’s correct, by the way, that Weibo has more functionality than Twitter. First of all, of course, 140 Chinese characters translates to a lot more words than 140 Western characters. And crucially, Weibo has added pictures, in-stream replies, groups and other features that make it much closer to a full-featured social network than a Twitter clone.